Whatever you need, our Mesa Continuous Monitoring System has a solution. Easy to install and capable of integrating with your existing network infrastructure, our advanced software will enable you to remotely monitor your refrigerators, freezers and other vital assets throughout your facility in real-time. Our software automates your internal monitoring processes, recording historical data and actions associated with alerts, and allows you to easily configure the software to meet your needs, providing automated reports and alarms. The advanced communication functionality allows key personnel to view alerts on screen, or receive user-programmable alarm notifications though e-mail, phone call or text messaging. You can choose the options that best fit your needs. Designed to meet your needs, our hardwired and wireless temperature sensors fully comply with FCC Part 15 for non-interference with other wireless devices used for your medical applications. Our continuous monitoring solutions are specifically designed to meet the most stringent regulatory compliance standards for your industry. Our Mesa Continuous Monitoring Systems are highly scalable and have the ability to adeptly handle the needs of both small and large facilities up to complex, multi-location facilities. 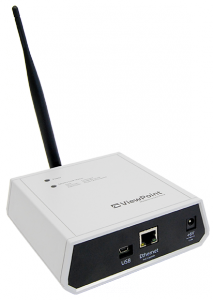 They can function as standalone systems, monitoring just a few of your assets in a limited area, or they have the flexibility to expand at any time into a fully networked environment that can simultaneously monitor hundreds of refrigerators and appliances. With a Mesa CMS, we can deploy sensors throughout an entire facility, including remote satellite buildings and different departments or locations around the world, bringing them all together for ease of viewing and event handling. 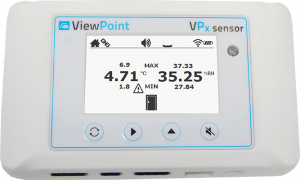 Mesa’s ViewPoint Monitoring Software was designed with a simple and intuitive interface that makes monitoring of temperature, humidity, O2, CO2, Pressure Differential and other parameters easy with very little user training. Color-coded, easy to understand home page with your choice of using floor plans or data screens for viewing asset location or current status. One click opens options for viewing charts and/or numeric tables to review what has been happening with your assets. Click into a chart or report to select different time periods or reference dates for review. Suppress alerts: user-selectable suppression to handle alarm events. Redundancy: store and record at sensors or the server to ensure data integrity during times of power outages, network offline or other unforeseen events. Mesa’s temperature monitoring systems offer flexible and fail-safe alerting mechanisms that ensure timely, complete and fully documented corrective action. Color-Coded Alerts: Vivid color coding makes alerting recognition easy and clear for all staff. Inhibit Alert: While corrective action is being taken, pause alarm notifications. Alarms will recur if corrective action is not completed within the specified time. Corrective Action: In order to maintain 21 CFR Part 11 compliance, you can close the alarm state and track user activity while creating a defensible audit trail. 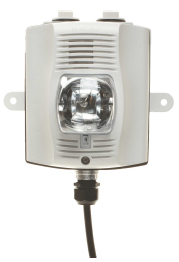 Notification: Alerts are sent by email, text message, phone call, pager, or audio/visual local alert lamp. Multiple Alert Levels: Ability to program your own parameters for notifications. Ability to program your own alarm parameters together using multiple alarm tiers including: Pre-Alarm, Standard Alarm and Emergency Alarm. 24/7 Alerts: Sent to different recipients based on the day of the week and time of the day and even customized holiday schedules. Escalation:Alarms can be individually configured to escalate to multiple notification groups and loop based on time of day and day of the week to ensure that an alert is never missed. 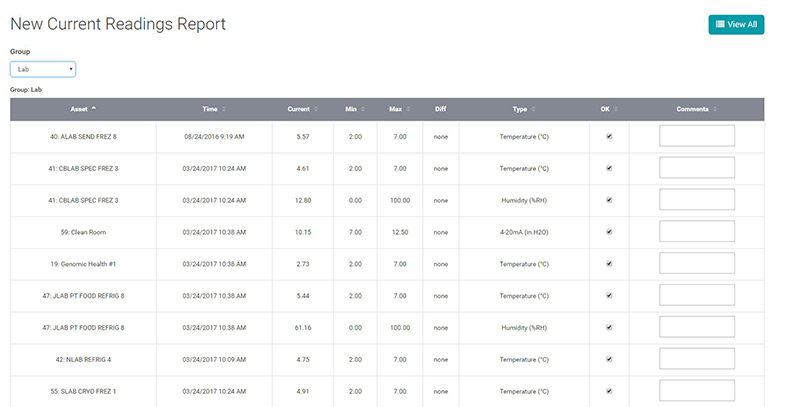 Our temperature monitoring software is designed with detailed reporting modules to automate equipment monitoring for organizations in order to meet regulatory compliance. Corrective Action History: Quickly retrieve details of all corrective action. User Login History: Automated documentation of user logins. Audit Log:Complete record of changes to system settings (user login/logout, user changes, asset relocation, etc…). Summary Report: Report of averaged readings over any period of time including high, low and average as well as mean kinetic temperature. Equipment Groups: Shows assignment of equipment based on user groups. 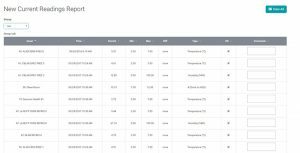 Automated Reporting: Receive your needed reports any time day or night. Calibrations: Easily and quickly pull up calibration details on a per asset basis from installation or just the last calibration. Review and Print:Easily review and/or print your daily reports. Mesa’s Temperature Monitoring Systems are designed with user-defined levels of security settings to ensure that only authorized personnel has access to the system and the privileges to the system configured to the exact needs of each individual user. Password: Password management, such as password expiry, lockout, forced password reset, etc. Equipment Settings:Alarm, notification method, scheduling, grouping and other settings of each equipment can be customized individually or as a group. Grouping: All users and all equipment can be associated into groups so that only pertinent equipment can be viewed based on the user’s login. Fill out the form below to request a demo today!